We provide high quality Elastomeric Bridge Bearings, also called neoprene bridge bearings, and elastomeric bearings. These bearings are manufactured using high grade materials with the aid of contemporary techniques at our advanced production unit. The bearings provide adequate support to bridges for absorbing vibrations and preventing their deformation. In addition, we offer these Elastomeric Bridge Bearings at reasonable prices. 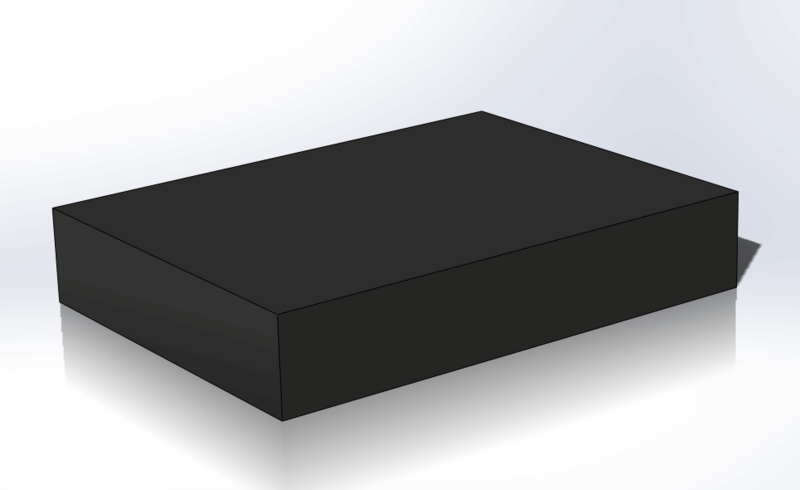 We are one of the eminent manufacturers and suppliers of Elastomeric Bridge Bearing Pads. These pads are manufactured using the finest quality material, procured from reliable vendors under the observation of seasoned professionals. Offered pads are checked at our well-equipped facility on various parameters to ensure its long service life. These pads provide economical solution used to withstand loads and deformation in any direction for the construction of large-span bridges and buildings. Elastomeric Bridge Bearing Pads are available at industry leading prices. Laminated elastomeric bearing or neoprene bridge bearing pads are simple to install as contrast with different sorts of bearings deployed and demand zero handling. Dissimilar to numerous elastomer, neoprene rubber experiences no marked contraction at least temperatures when bridge neck thermal contraction is performed at optimum; as such contraction can be harmful to structure and bearing. Suitably compounded and precisely outlined bearings can be anticipated to work productively for minimum 15 years. 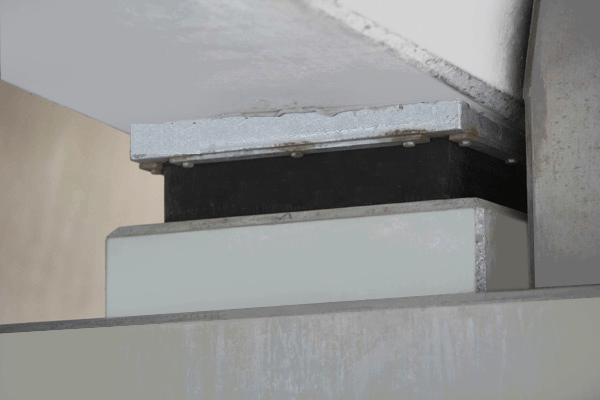 As utilitarian bearings for sell beams, pre-stressed concrete or pre-cast concrete in buildings and bridge are imperative, our elastomeric bridge bearings allow uniform and smooth transfer to load through beam to the frame as well as permit beam revolution for bearings because of beam deflection under load. These also permit longitudinal and lateral beam movement that is induced by heat pressures. They do not possess any movable components. In addition, thermal contraction and expansion are assimilated by ability of pad to offer and take shear. No sliding movement between pad and abutment or between pad and beam is present. Our bridge deck are composed of numerous elastomeric material laminates that is separated through steel supports. The complete bearing size and laminate thickness is as per demand of transferred load. Bearings possessing steel plates are supported should be compresses or cast vulcanizes or molded as one unit in mold below heat and pressure. In house manufacturing test of every bearing is completed in the presence of the client or his representative. Trials adhere to IRC 83 PART II/UIC772, Spec - EN-1337-3. Particulars are as per affirmed examination on either level 2 or level 1 or long and short durations compression trails of approximately 800 ton with levelled shear load of around 150 ton can be tested in our facility.